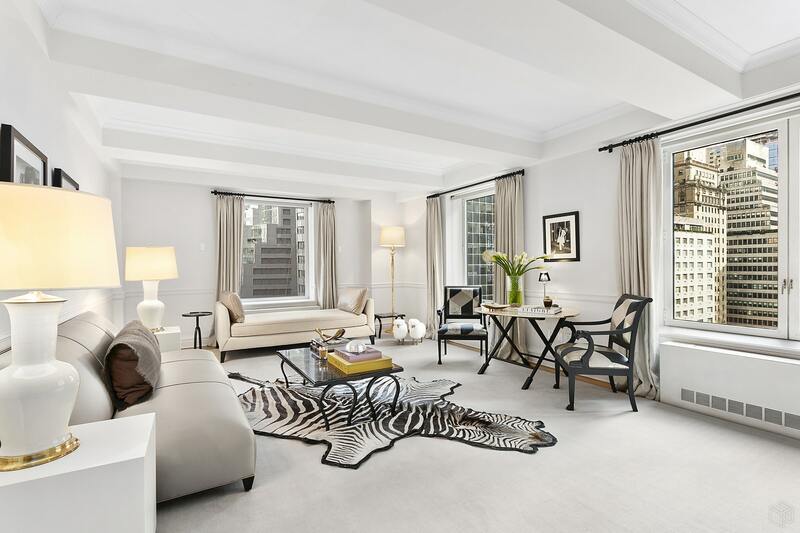 Located in the coveted 502 Park Ave. building, this exquisite home sits proudly on the corner of 59th and Park. Here, you can feel the glamorous past and present converge. Where there once was a hotel frequented by the Beatles is now a landmark luxury residential building. 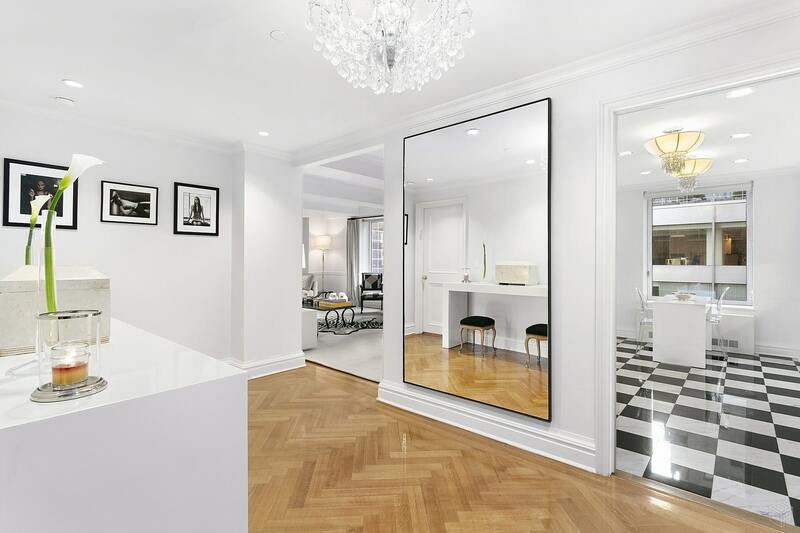 Among the building's elegant homes is this two-bedroom, two-bath gem that impresses as soon as you step into its gallery. The solid herringbone oak floors, handcrafted doorknobs, and impeccably crafted moldings reveal detailed craftsmanship. 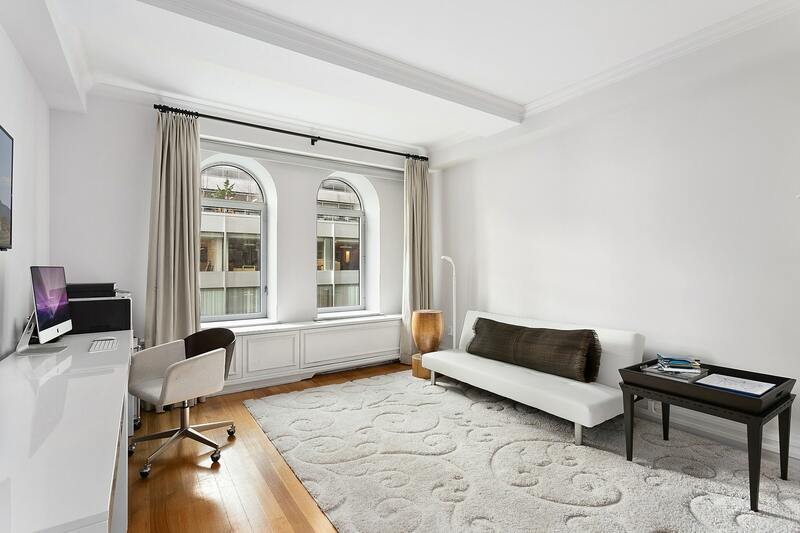 Moments away from Central Park, the Upper East Side home boasts corner windows framing Park Ave. Plenty of wall space serve as an art collector's canvas. The expansive, light-filled living/dining room is perfect for entertaining, and the kitchen is outfitted with top-of-the-line appliances, fluted glass-panel white wood cabinetry, marble countertops, an undermounted cast-iron sink, and mirrored backsplashes. LED accent lighting add to the modern luxuries of the apartment.The bedrooms are in opposite corners of the home, providing privacy and serenity. The master bedroom boasts elegant details including charming ceiling beams, stunning moldings, and two stylish arched windows. 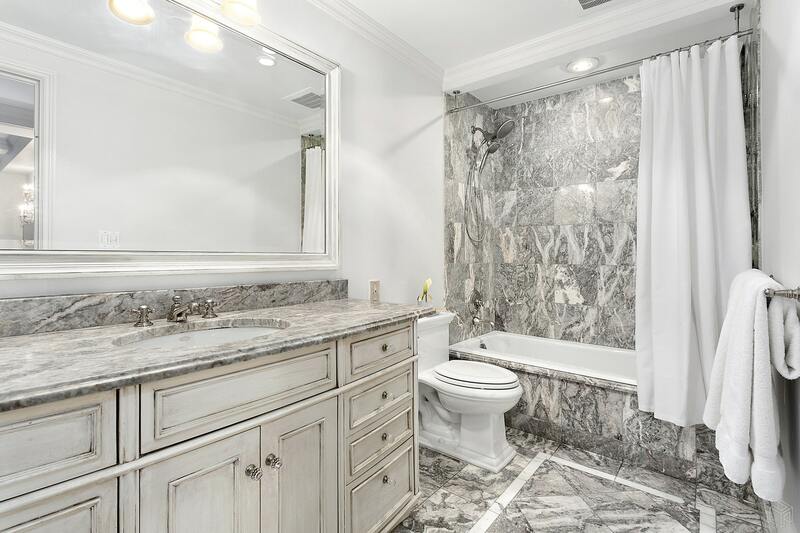 Each of the bathrooms has Fior di Pesco marble floors, deep soaking tubs, white wood cabinetry, and chrome nickel fixtures and finishes. WASHER/DRYER allowed. 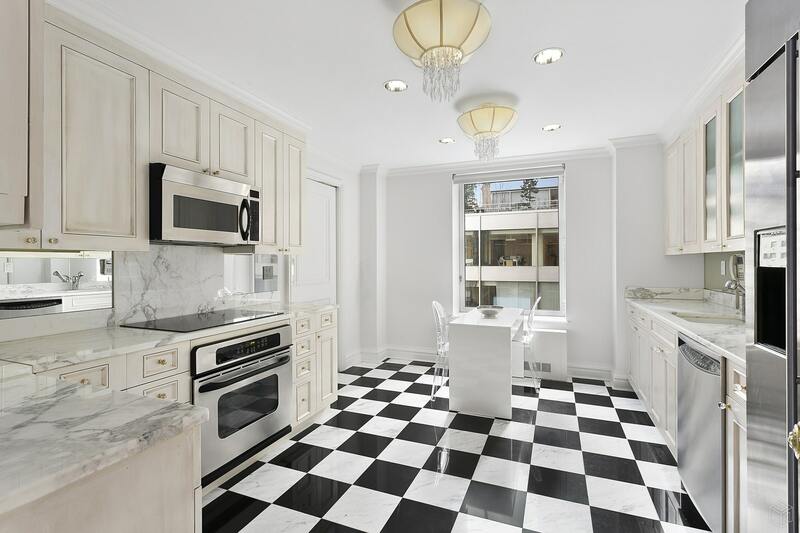 As you would expect with elegant Upper East Side living, 502 Park Ave. offers a 24-hour doorman and concierge services, as well as daily maid and valet services. The building also includes a state-of-the-art fitness center and a lobby with coffered ceilings and marble floors. 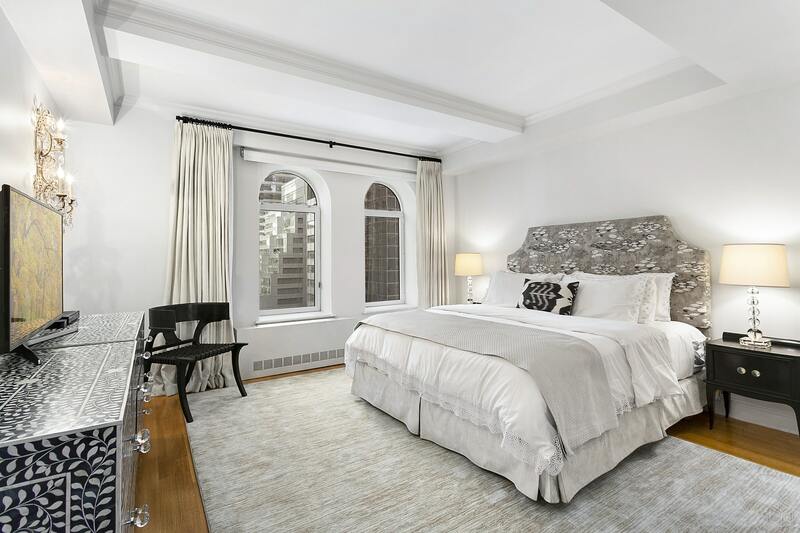 Located on a lively street, this building provides easy and convenient access to Central Park and some of the world's finest restaurants, shopping, and cultural institutions, as well as prestigious public and private schools. 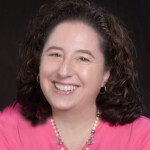 THERE IS AN ASSESSMENT OF $1087 per month until JULY 2019.